has performed outstanding service to NYSACAC, to our profession, and to the community. exceptional service to our profession. The Human Relations award is presented to an individual or program that embodies the ideals of the Human Relations Committee. The person the program honored works tirelessly on the issues of access and making post-secondary education opportunities available to historically underrepresented students. 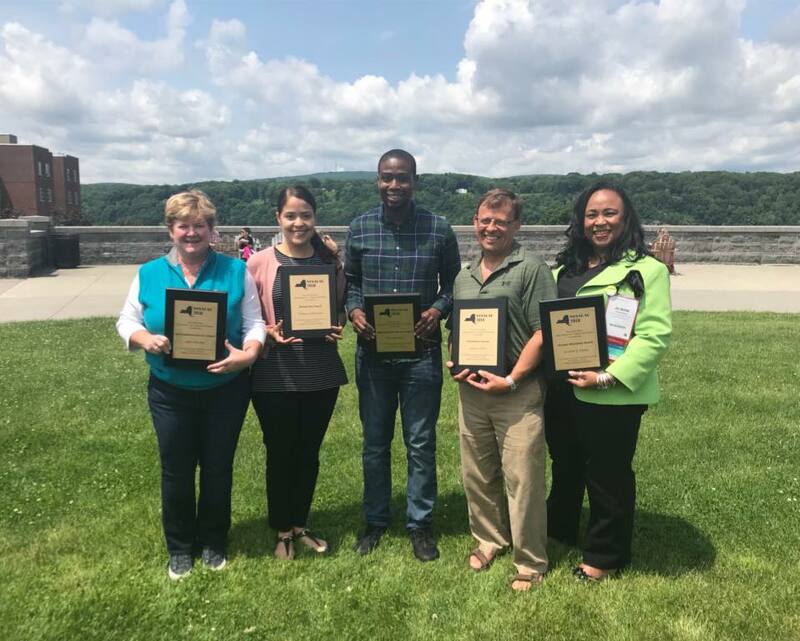 The Rising Star Award honors individuals and programs that exemplify excellence and dedication to serving the needs of students in the transition from high school to college. Preference will be given to those who have worked in the field for no more than five years. They must be new members who are striving to make a difference within the association through their work in committees. Winner of the NYSACAC Rising Star Award will automatically be the NYSACAC nominee for the NACAC Rising Star Award.